Sheets and discs in ceramic glass » ArtVetro s.r.l. 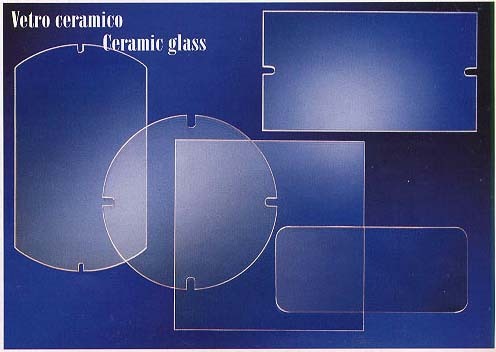 The ceramic glass has a low coefficient of expansion, can be used without problems up to a temperature of 800° C and is characterized by high resistance to great variations in temperature (700 ° C). Great filter for ultraviolet rays (UV), making it ideal as a protection for metal halide lamps, and in all those applications where need a glass resistant to high temperatures such as protection for chimneys and stoves (wood or pellets) or even as a sight windows of ovens at high temperature. The ceramic glass is transparent with a light amber color and is available in thicknesses of 3 and 4 mm, it can be supplied in various shapes and sizes on request by the customer.